Finding skilled beekeepers to help you cope with the work load during the beekeeping season is not easy. This website aims to help your company find staff and make it easier for interested beekeepers to find their job in Germany and elsewhere. Germany`s very long history of professional bekeeping (e.g. in heather landscapes) means it has a lot of people with expert beekeeping knowledge. However, they are often committed to there own sideline bee business. This makes finding flexible and professional staff a difficult task. Contrary to many other countries, Germany has an officially recognized apprenticeship for professional beekeepers. 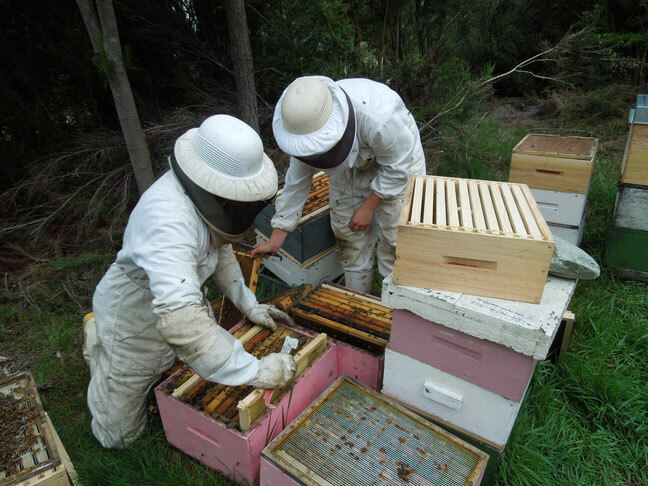 The training usually comprises three years of fulltime beekeeping. After passing an exam consisting of three theoretical and three practical parts the apprentices gain the qualification Assistant Beekeeper (Tierwirtin, Fachrichtig Imkerei).